Pupils from the local primary schools of Lockerley, Broughton, West Tytherley, Stockbridge, King’s Somborne, Wallop & Wherwell were invited to attend the festival over 3 days. This festival event has been running for 10 years. 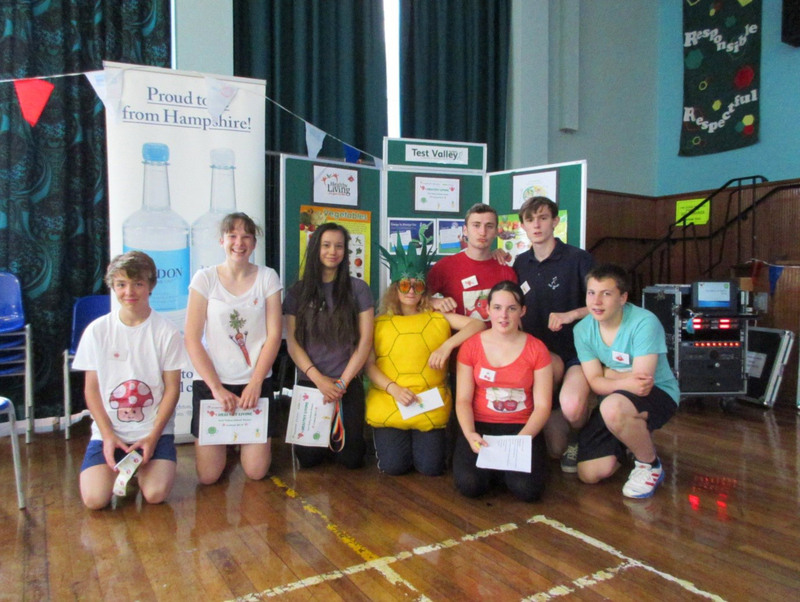 Sports Leaders, all pupils at Test Valley School, started planning this event in November 2014 with Mrs Smith (School Sports Co-ordinator). 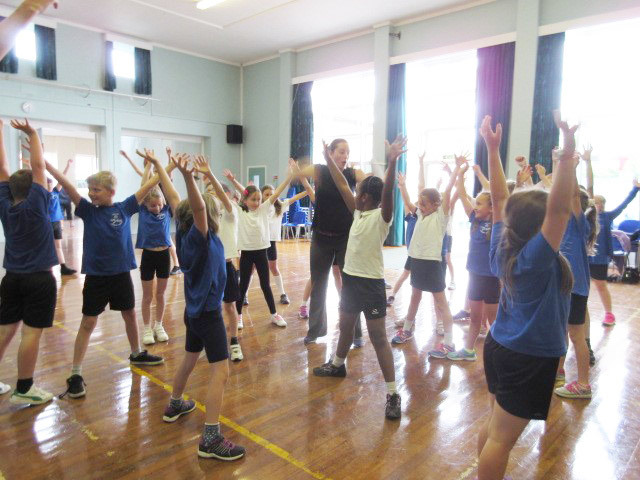 Gremlin Dance Company taught elements of healthy living including physical, mental and social wellbeing to the primary school pupils in the morning workshop. Partner and group phases were created using mirroring and facial expressions. 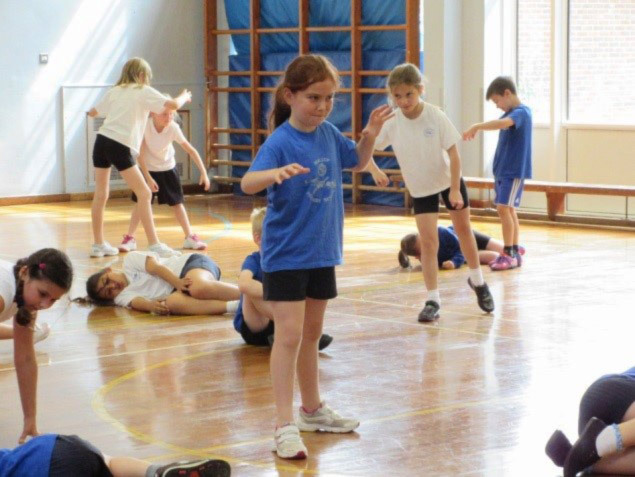 The primary schools had been asked to base their showcase performance around the theme of healthy living, linking their performance to diet, exercise benefits and exploring the great outdoors. The primary schools showcased their own school dance in the afternoon. The schools showcases were very varied performances and included a fruit version of Little Red Riding Hood with a vegetarian wolf who loved fruit and vegetables, sporting actions and keeping fit elements as well as a cheerleading dance with ‘Healthy Living’ chants and bright coloured props. 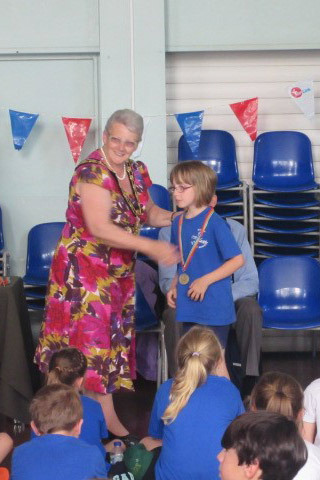 The event’s sponsors were invited as VIP guests to present Gold & Silver medals to all the primary school pupils. 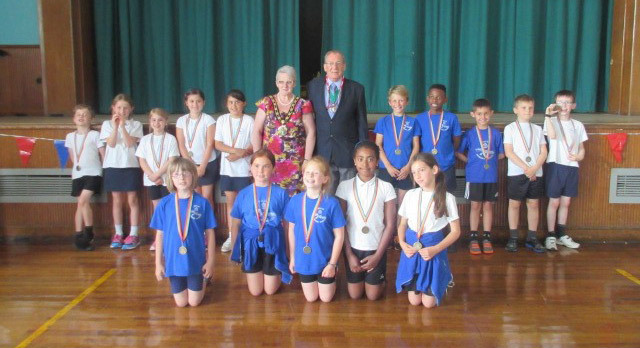 Gold medals were presented to the pupils who were enthusiastic, showed consistent effort throughout the day and had excellent team work skills. The key sponsors were Hildon Natural Mineral Water, represented by Debbie Jones (Environmental Manager), Simplyhealth represented by Mrs Marshall (Community Fund Co-ordinator) and ASDA, who provided healthy snacks to link with our theme. Without these key sponsors this event could not take place Other VIP guests who visited included the Test Valley Mayor, Councillor Mrs Andersen, with consort and the Town Mayor of Romsey, Councillor Mrs Baverstock, and consort Miss Morrish, formerly Headteacher of Test Valley School.